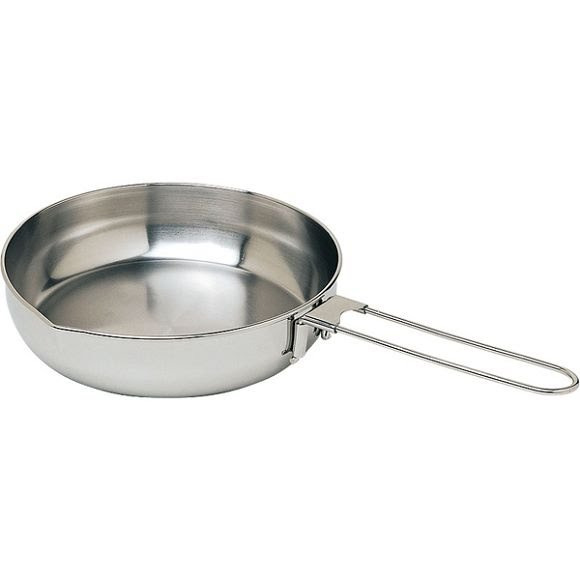 Strong, reliable stainless steel fry pan stands up to heavy use and extreme conditions. Nests over MSR Alpine 3L Pot and handle folds up for compact packing. Dimensions (packed) 8" x 2"